There’s not one soul who doesn’t have it and everyone needs to manage it somehow. And today’s episode? Let’s just say we have an Egyptian goddess on our hands. 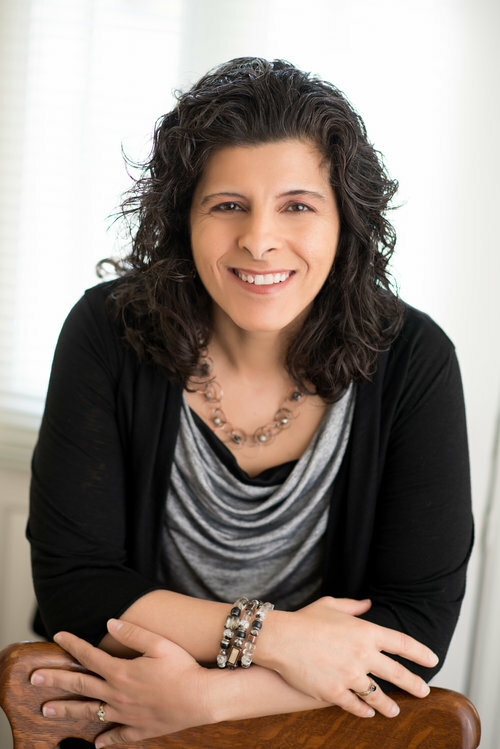 You’ll learn more about Rania Haynes but what you need to know is that she is a therapist with over 20 years of experience and she loves tackling tough topics. And anxiety is one of her favorites. She believes we can live whole, integrated lives and who doesn’t want to hear about that?! You’ll love her. She’s down to earth and full of grace and truth. Get ready for some fantastic counseling. Rania Haynes received her bachelor's degree in Art Therapy and her master's degree in Mental Health Counseling from Bowling Green State University. She has over 12 years of experience working in a children's hospital specializing in acute and chronic illnesses targeting fears associated with treatment. She completed her internship in a Christian private practice in the treatment of opioid addiction providing IOP and After Care groups as well as individual therapy. For the last four years, Rania has served as a mental health counselor in a community mental health setting diagnosing and treating a wide range of mental health issues in traditional, school, and community-based settings with children, families, and groups. Rania views every person as having specialized needs, working carefully to assess each person's specific needs to determine the strategy that will assist a person to work to their full potential and maximize their therapy experience. She has advanced training in the use of Expressive Therapies, such as art and play. Rania partners with the client and his/her identified support system to develop a foundation that is built on a relationship of trust and team-work, to navigate change towards healthy, productive daily living.